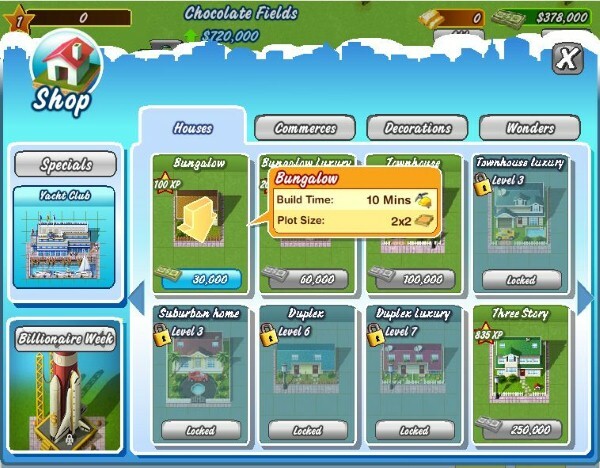 Millionaire City is a city building game from Digital Chocolate, available on Facebook social platform and also free to download and play on iPhone and Android. 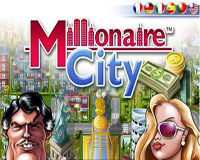 In Millionaire City you build your monopoly from the ground up by creating luxurious houses, crowded commercial skyscrapers, gorgeous decorations and unique world wonders. 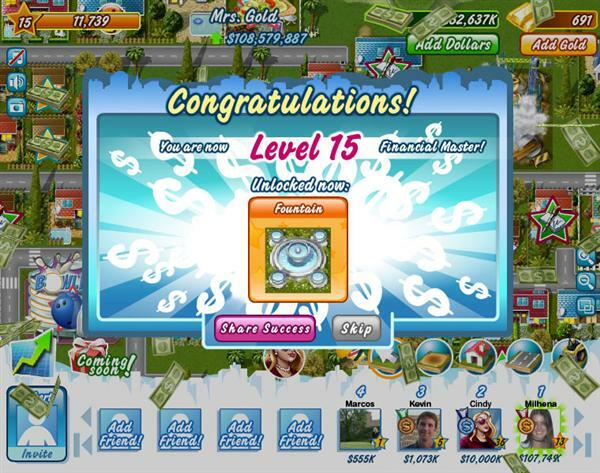 The more friends you have playing the more money you will get! 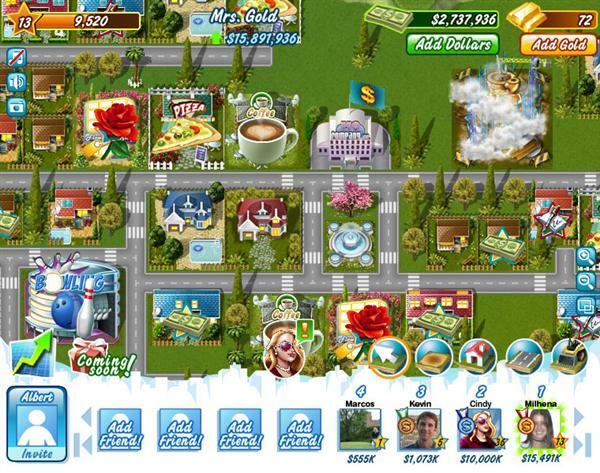 Make smart investments, take risks, care for your properties, and watch your company grow! 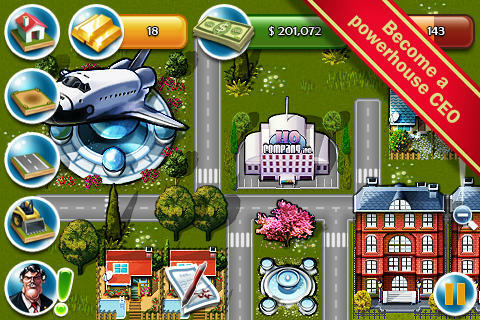 Millionaire City features very nice graphics, lots of missions and quests, a nice tutorial to get you started, and a really good interface. 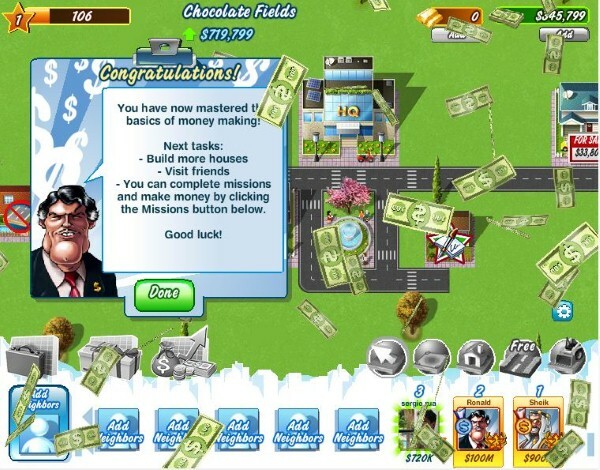 Related Tags: city building, digital chocolate.